Home > Lumber Crayons/Pencils > DIXON Lumber Crayons-Price is for a Box of 12. Available In 16 Colors. 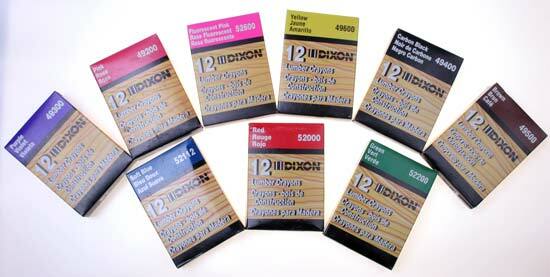 DIXON Lumber Crayons-Price is for a Box of 12. Available In 16 Colors. Tip Size: Solid Paint, 1/4"
ALL COLORS IN STOCK FOR IMMEDIATE SHIPMENT. Carpenters Pencil-the best know brand "Red and Black"